The lush greenery draws many people to live in Tennessee and northern Mississippi. Unfortunately, many types of pests also claim this area as their preferred habitats. If you have a pest problem, it is important for you to get help from the professionals at Germantown Pest Control & Termite. We are able to assist you with eradicating your current pest populations while also helping you to keep them from coming back through ongoing pest prevention methods. Roof rats are common types of household pests. They are black or brown in color and smaller than their counterparts, the sewer rats. These rats commonly infest attics and can cause substantial damage by chewing through plastic, insulation and pipes. If you hear rats scampering in your attic or see them in your home, it is important for you to figure out which type of rat that you have. We can help you to identify the rodents and to remove them from your home. Bed bugs are blood-sucking parasites that can cause serious problems when they take up residence inside of your home. The adult bed bugs are about the size of apple seeds. These bugs can be found in furniture and mattress seams and can hitch rides in your luggage from hotels back to your home. These bugs may leave you with itchy rashes, and some people may suffer allergic reactions to them. The spring and summer months bring mosquitoes. These insects are very annoying, and they also can spread serious diseases. 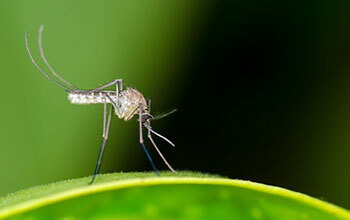 Ridding your property of standing water can help to cut down the mosquitoes in your yard. You can also have your lawn treated to help to keep the mosquitoes away and allow you and your family to enjoy your yard. Nobody likes seeing ants crawling across their countertops and in their pantries. In the world, there are around 700 different species of ants. Ants build nests underground, and the workers emerge to seek out food. If you have ants that have invaded your home, we can start by identifying their entry points and sealing them up. We will eliminate the ants that are present inside and find their nests in your yard. No matter what type of pest problem that you might have, it is possible to rid your home or business of your pests with the help of the pest control experts at Germantown Pest Control & Termite. Our pest control services can be customized according to your needs. You can also schedule ongoing pest control services to maintain your home or business in a pest-free state. Getting rid of pests can help you to enjoy a better living or office environment while also protecting the health of you, your family and your guests. Contact Germantown Pest Control & Termite today to get your free quote for our services.